Visiting the Lake District? Then be sure to pick up a Camperbug camper van from locations across the County including Kendal and Carlisle. VW campervan are excellent vehicles in which to tour Cumbria and see the Lakes. We have campervans for hire across the county from owners who are keen that you use them to visit beautiful locations including Windermere, Grasmere and Keswick. I am Billy, hire me today! Billy is a 4 berth VW T6 camper & is the latest addition to our family. He is the current top of the range model in the T series & is ideal for a couple or even a family of four to explore in. 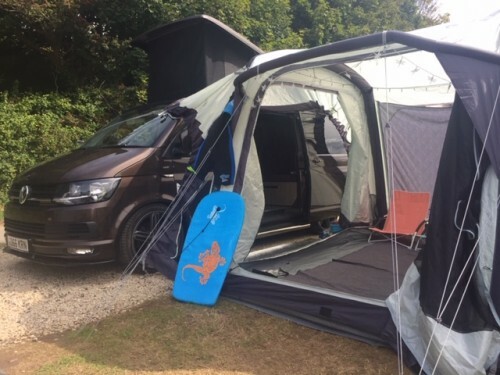 2015 fully converted campervan perfect for either a couples weekend away or a family holiday. With the optional extra of our Vango Airbeam awning for some additional space. Well behaved pets are allowed on request and with an extra charge up to maximum of x2.